This is a mixer activity. 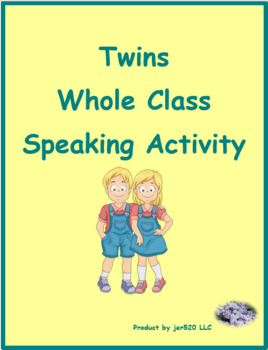 It includes 18 unique sets of twins. 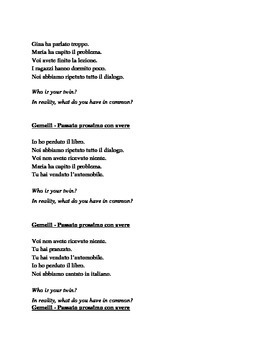 Each student gets a sheet with 5 statements (Noi abbiamo lavorato insieme). Students mingle until they find the one other person with the exact same 5 statements.